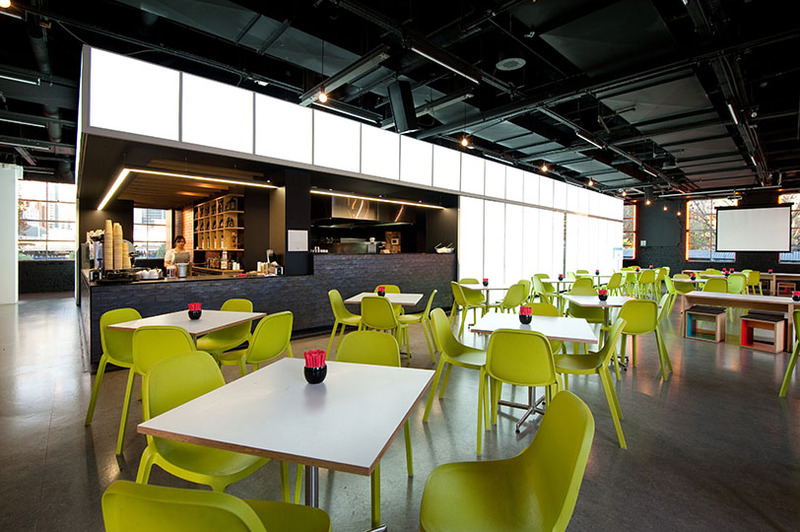 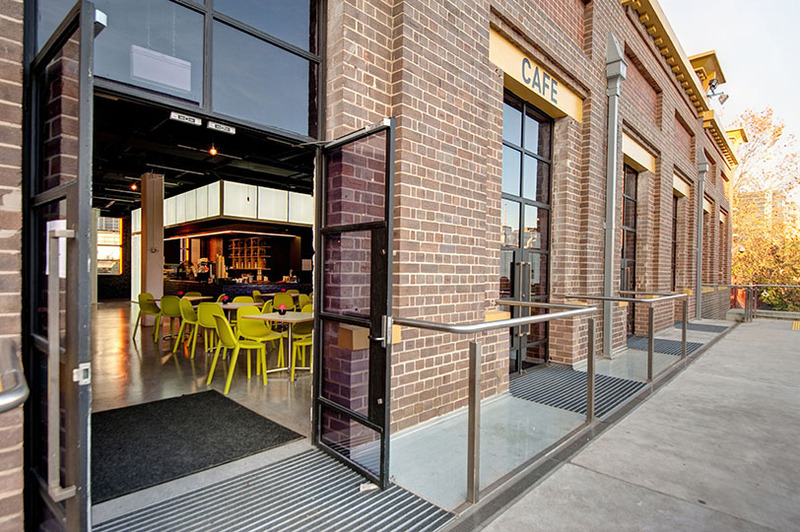 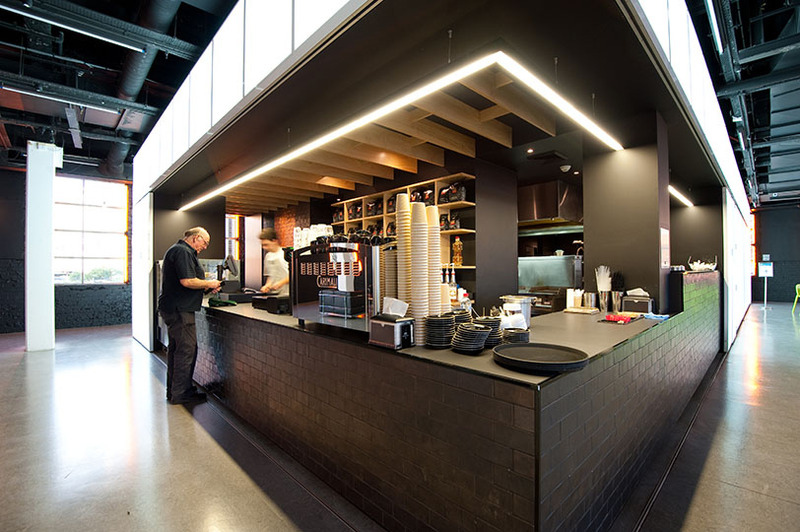 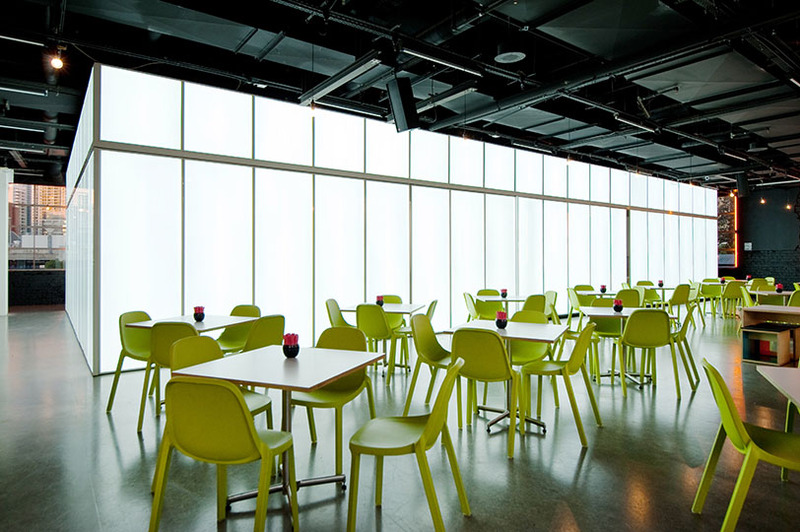 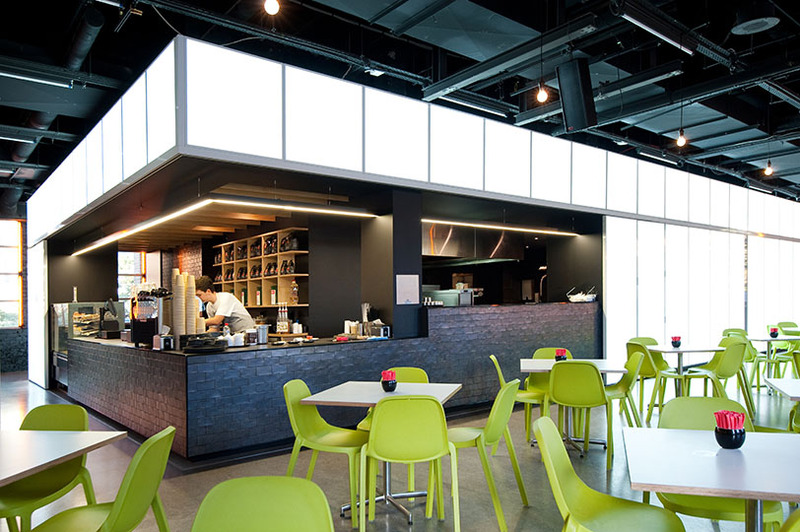 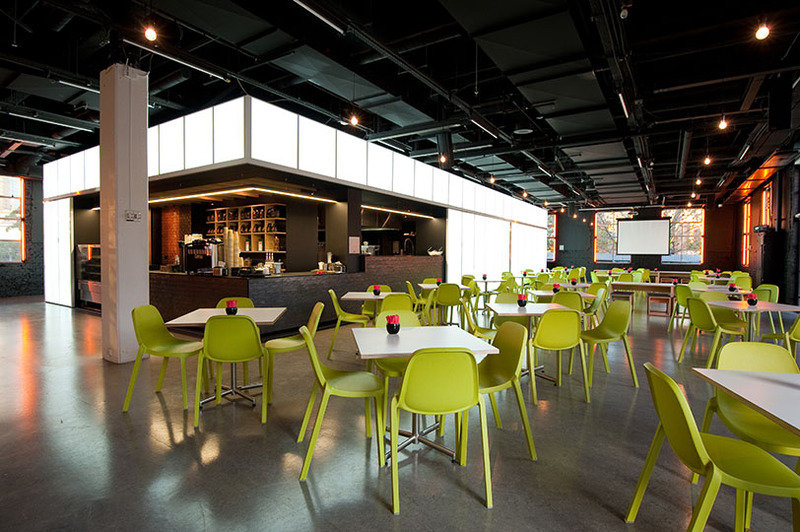 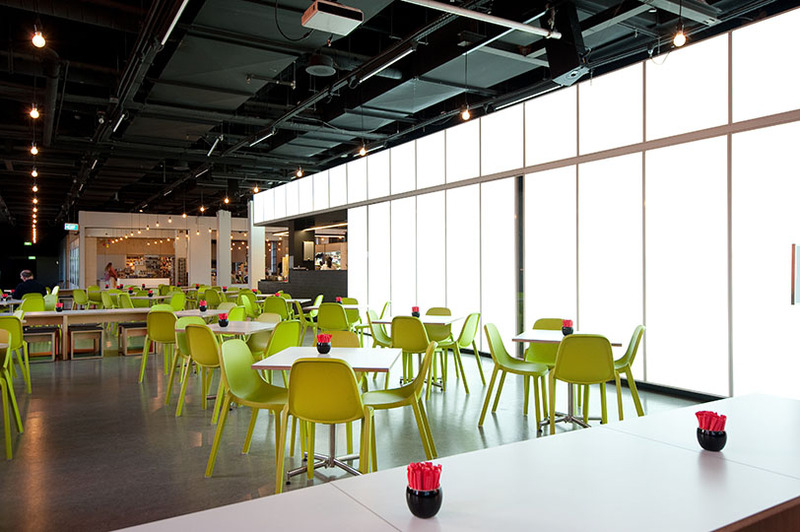 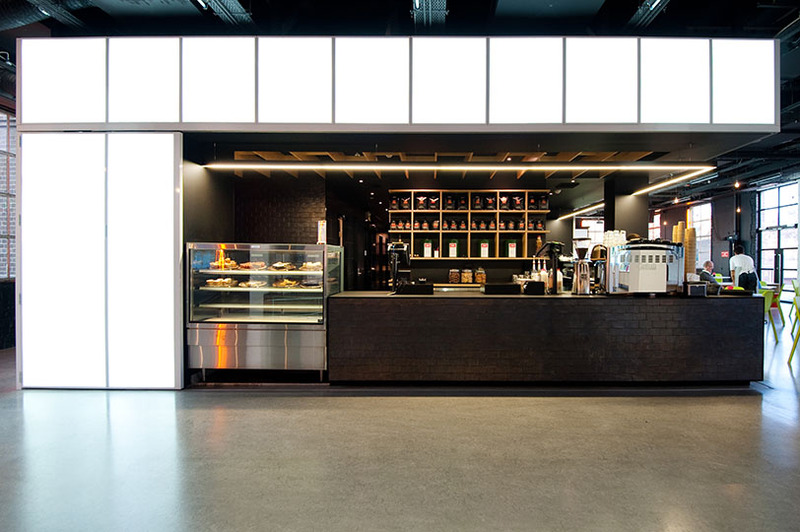 Grindley Interiors were engaged to build and fitout a new café on level three of the Powerhouse Museum in Pyrmont Sydney. 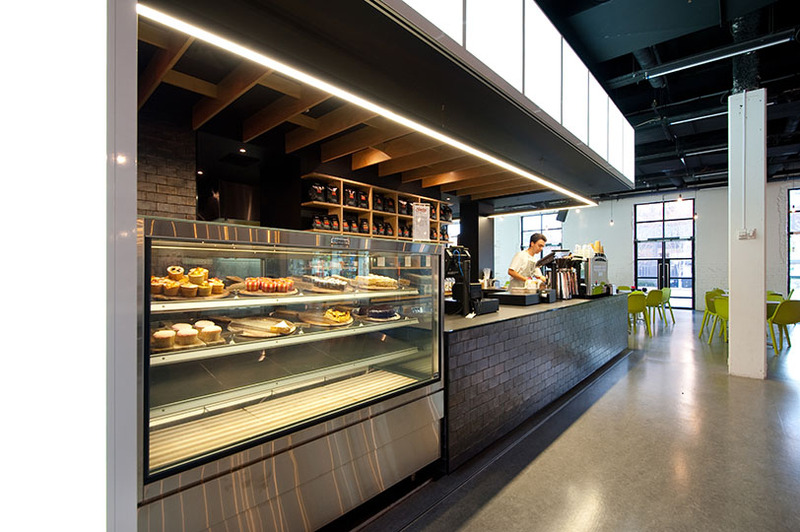 This comprised the installation of a commercial stainless steel kitchen, cool room, servery, cake display, coffee making facilities, and an amenities block at the rear of the cafe. 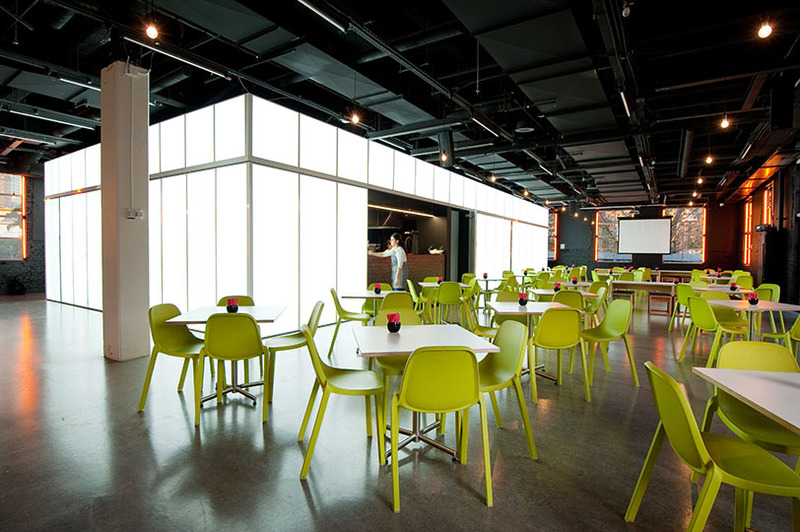 There were many challenges throughout the program, as it was necessary to corehole up to 40 holes for drainage, which had to be completed after museum hours and above an existing lace exhibition. 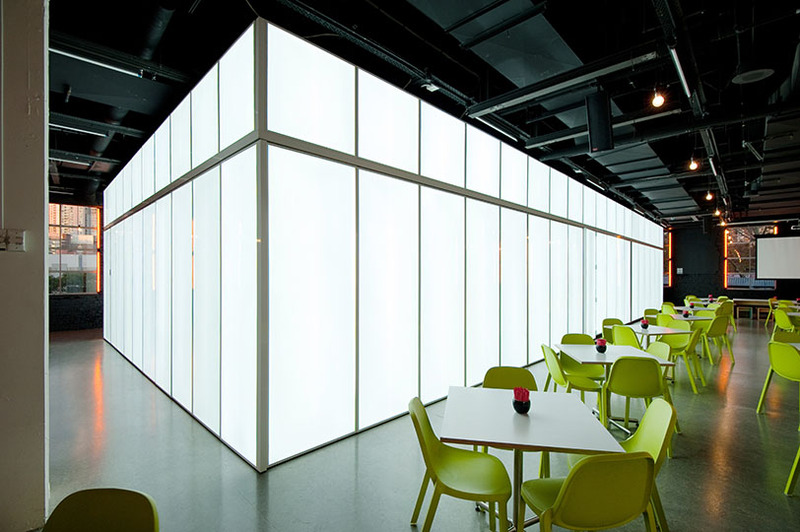 The exterior of the cafe is clad with illuminated LED panels which gives the look of an illuminated cube at night, when looking at the museum from Harris Street.